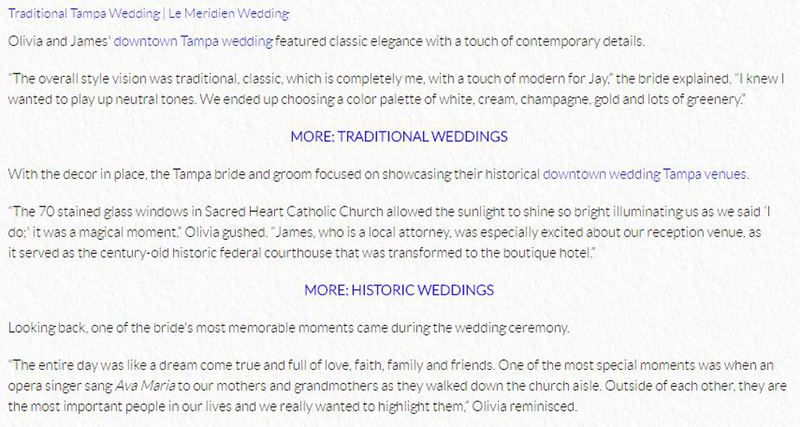 Olivia + Jame’s Le Meridien Wedding in Downtown was published on Marry Me Tampa Bay! Woo hoo! We’re so thrilled to announce that Olivia + Jay’s stunning Le Meridien wedding in Tampa was published on Marry Me Tampa Bay!